**Food Lion Exclusive** Taylor Hicks, one of the most beloved and popular American Idol winners of all time, appears at the Southern Women's Show on the Food Lion Kitchen Stage Saturday, March 23! From the start, Hick's material on the mega-hit singing competition show set him apart, with his unique take on Southern soul, country, R&B, and blues. 64 million votes were cast and nearly 37 million American viewers and more than 200 million viewers worldwide tuned in to crown Hicks the season five winner of American Idol. In addition to performing, Hicks currently hosts “State Plate” on INSP (Inspiration Network). Sharon Oliver is a highly sought after woman's inspirational speaker. She is known for her candid and humorous personality that gives personification to her stories and conferences. For over 20 years, Sharon has served various organizations that has cultivated the dreams of others and has also launched them into unparalleled success. Since 2014, Sharon Oliver has been the Editorial Director of Richmond's popular CEO Magazine. CEO Magazine features articles of women from various backgrounds and demographics that are leading in their communities and in the business sector. Through unprecedented support of CEO Magazine it has also given birth to various subsidiaries; CEO Network: Club CEO & CEO Studios, Chicks with Brands and CEO Publishing. The growth of the organization has now become a leading consulting agency in the Richmond,VA area primarily serving women in business. We are thrilled to have Savannah Chrisley, from USA's hit reality show, Chrisley Knows Best, joining us at the Southern Women's Show! At just 19, she became the youngest person to retail on HSN. In April 2019, Savannah and her brother Chase will star in their own spin-off series called Growing Up Chrisley, which follows them as they move out West. 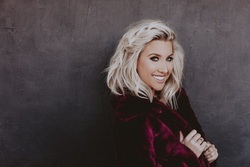 See Savannah on Saturday, March 23rd at the Fashion & Entertainment Stage to get the scoop on filming Chrisley Knows Best, branching out in her new upcoming spin-off series, growing up under the watchful eye of her father, and moving to LA for her career. Reba will be appearing at the Southern Women's Show on Saturday, March 23rd. See her by the Fashion and Entertainment Stage and hear more about the AHA wrap! After 25 years as a TV news anchor, Reba became all too familiar with the unflattering, uncomfortable, and awful looking “back bump” from the microphone when wearing a dress. Tons of women share the same frustration: TV personalities, business executives, church and political leaders, public speakers, restaurant managers, hair show stylists — any woman who needs to be mic’d up. There had to be a better way…and, AHA! The AHA Wrap was born. A sophisticated solution. AHA Wrap is a comfortable, secure, and adjustable leg wrap that holds your microphone. The heavy-duty elastic design, silicone band, and velcro closure keep it snug around the leg. Two rows of snaps give it an extra layer of security. Because we all deserve to feel special and pampered, the AHA Wrap can be monogrammed in your favorite color and style for a personal touch! Come listen to Tamara Caulder Richardson, AKA; “The Southern Belle Medium” ™ - give healing messages from loved ones that have crossed over. Tamara will be performing several live medium demonstrations entitled, “Messages from Heaven,” on the Fashion Stage. Each of Tamara’s shows is different so plan to attend more than one demonstration and experience this amazing ability for yourself. Who knows, you may be one of the lucky ones to receive a personal message. Please be sure to come a few minutes early to get a good seat for these events. Remember to have an open heart when wanting a message. Know that the love we share in this world and the next is eternal. Tamara Caulder Richardson, The Southern Belle Medium™, will have an exhibit booth located at #3002, in the second building in the front. She will be offering at her exhibit booth, 30-minute limited medium/life path readings (first come, first serve), IN-PERSON for ONLY $175! Note: Up to (3) family members in a reading welcomed. AS A BONUS… With each paid reading Tamara will give you a FREE angel wing pendant necklace in a silk gift bag (valued at $16.99), accompanied with a channeled message from Heaven! If you are too busy to attend a show or book a private reading on-site, no worries! You can purchase a 30-minute off-site medium reading and receive a Skype, Zoom or phone session after the show in the convenience of your own home! Note: The readings will be scheduled in April. After your payment is received please email us, seekingheaven@southernbellemedium.com, to book your reading time. In addition to her stage and booth readings, Tamara will be selling her popular, Bible-based essential oil sprays and roll-ons for: “Protection (with Holy Water) and Healing (for healing the sick)”, and her affordable and beautiful - Carolina Angel sterling silver/gemstone jewelry, and stylish - Southern Belle Medium ™ full-color logo - ladies fitted t-shirts for only $24.99! Come visit the Southern Belle Medium at booth #3002, plus see her on stage give beautiful, Messages from Heaven! Tamara was born blessed with many spiritual gifts. However, she feels her six near-death experiences and going to Heaven where she spent it with Jesus for three days while she was in a coma, enhanced her gifts of “knowing,” mediumship, psychic abilities, remote viewing, and channeling Jesus regularly, and the heavenly realm. Tamara is a physical and mental medium. To master her spiritual God-given gifts, she has trained with renowned celebrity mediums and authors: UK’s Tony Stockwell, Janet Nohavec, and John Holland, and was certified as an Advanced Psychic Medium by International TV Medium, Lisa Williams. Tamara is writing her first book, “Love from Heaven”. She is an ordained Christian Minister, and spiritual teacher where she has taught mediumship at such esteemed places like the Edgar Cayce Center in Virginia Beach, VA at the Psychic Conference, on Nov. 9-11, 2018. Tamara is the also the director of her own online teaching academy called, Enlighten University – School for Advanced Spiritual Development, www.enlightenuniversity.com, where she offers classes to anyone interested in learning about various spiritual topics. Of Tamara is known for her detailed, evidential style of mediumship where she uses her “Southern Belle” charm that uses love and humor to open the heart. Vickie Love aka the “Total Etiquette Diva” is no stranger to the celebrity world of Etiquette. As a former State and International pageant winner she is highly recognized for her continuous and dynamic etiquette avenues. Vickie hosts her very own “Bad to Bougie” etiquette bootcamp offered to thousands of Women & Girls coming out of the Adult Detention Centers, and travels throughout the U.S. and abroad transforming many lives. When not hosting the bootcamp, you can find the Total Etiquette Diva entertaining live venue audiences hosting the “Not Bad but Bougie” Etiquette Gameshow; look for shows coming to your area soon. Join the Total Etiquette Diva at the upcoming Southern Women’s Show 2019 as she appears, welcomes and speaks to guests during the show.